​ “This was a challenging site,” said Chris Rohaly, engineering and operations manager of Green Alternatives Inc., an Emergent Solar subcontractor involved with this project. “Space was limited for the desired system size, and the tie-in to the utility feed required a long trench. But we iterated design until we reached the optimum between the farm's goals and site constraints. This system will produce strong results." 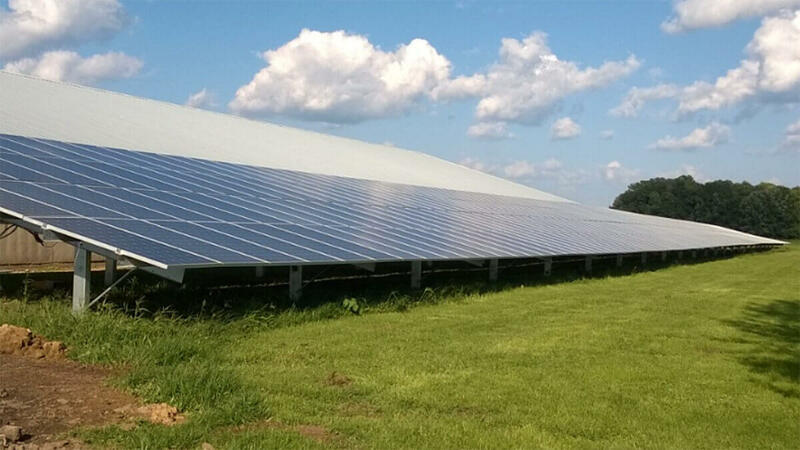 Emergent Solar Energy is one of the leading commercial solar construction firms in the state of Indiana. Headquartered at Purdue Research Park, in West Lafayette, Indiana, the company provides solar solutions to the commercial and industrial, municipal and agricultural sectors across the state of Indiana. Emergent Solar seeks to bring renewable energy to the communities it serves and to help organizations gain energy independence while achieving their sustainability and stewardship goals.